Just across the Cape Fear River from Wilmington lies the town of Leland. 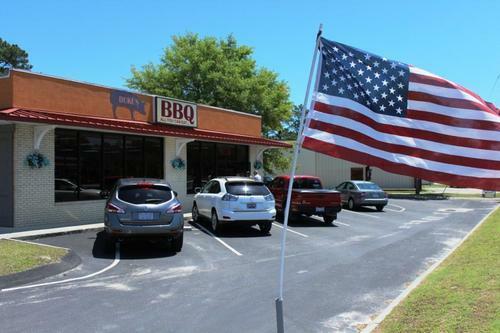 The coastal plain of NC isn’t really known for having great barbecue, but Duke’s Old South BBQ is trying to do things the right way, cooking their ‘cue over hickory and charcoal. 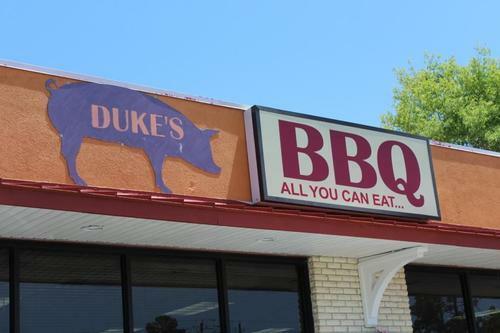 Duke’s marks yet another first for me in my barbecue travels – the barbecue buffet. Normally, this would make me skeptical about the barbecue, assuming it had been sitting in a steam tray for hours and getting an iffy texture in the process. On this particular trip, the stream tray ended up claiming victim to half of my order. 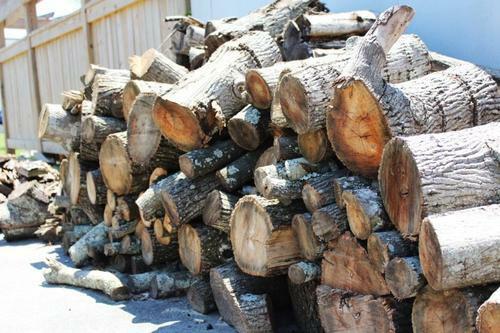 The barbecue had a slight touch of smoke but the lacked chunks of bark I like to see. It was also a little on the dry side and needed some of the side sauce. 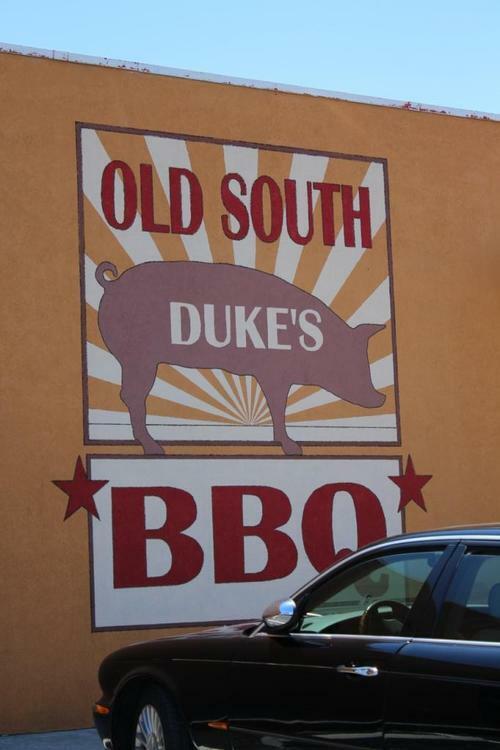 Duke’s Old South offers three sauces – sweet, mild, and spicy – and I opted for spicy, an eastern NC-style vinegar-based sauce. Each table also has Texas Pete, so I used that as well. Overall, the barbecue wasn’t half bad once aided by these sauces. The sides were another matter. 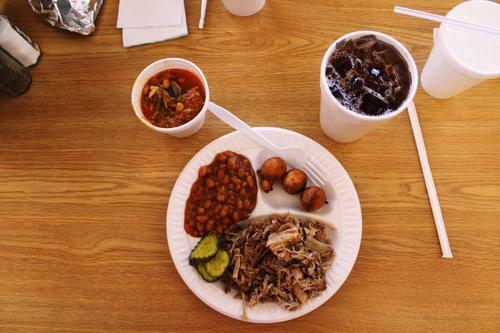 I went for brunswick stew and baked beans and while I didn’t have many complaints with either, they didn’t knock my socks off. My wife got mac and cheese, and it was dry and crusty from sitting in the steam tray too long. The hush puppies had an odd taste to them, reminiscent more of a seafood hush puppy than a barbecue one. 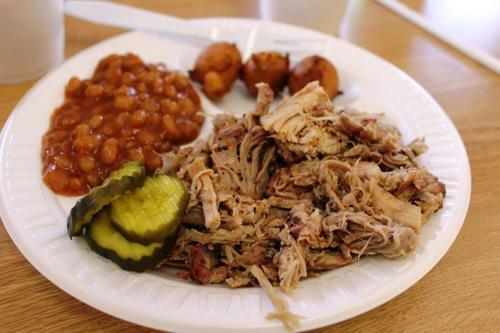 Each plate also comes with a choice of dill or sweet pickles, which seems a little weird for a NC barbecue place. 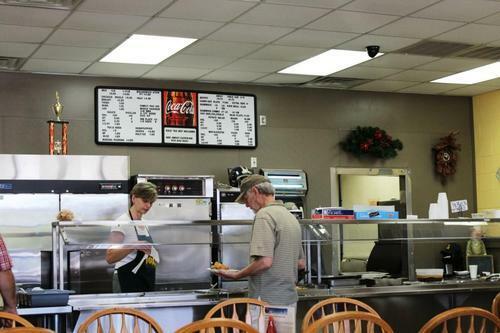 The dining area is basically a large rectangular room with cafeteria-style seating and fluorescent lights. 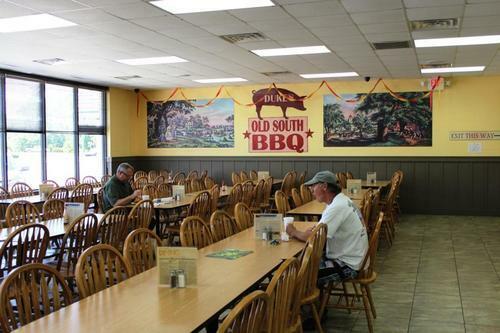 To be honest, it could use some work in terms of atmosphere or ambiance, although the bluegrass/country music playing over the speakers helped a little. 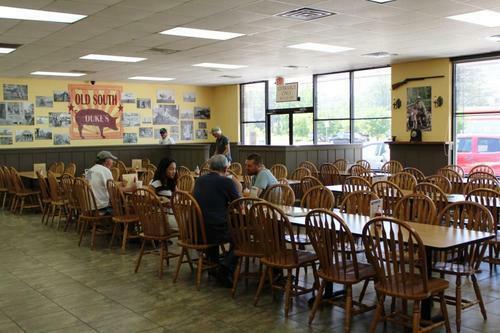 Duke’s Old South BBQ does have some nice things going for it, mainly in terms of the barbecue itself. If it stepped up its game in terms of sides and atmosphere, it could be a hidden jewel. As it stands, its just a nice little joint with a few flaws just off NC-74 heading into Wilmington. 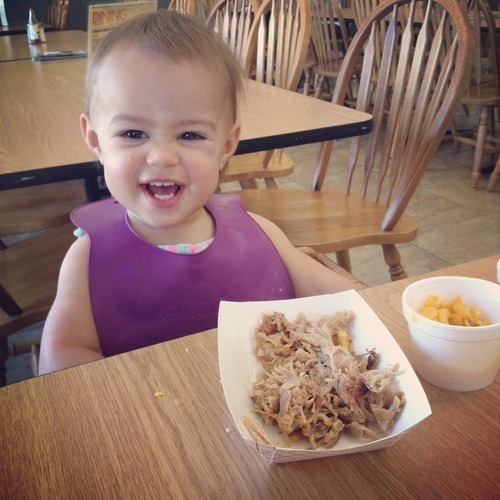 ← Happy 2nd Birthday, Barbecue Bros!